From sunlight to glaciers, Alaska has an abundance of natural resources. 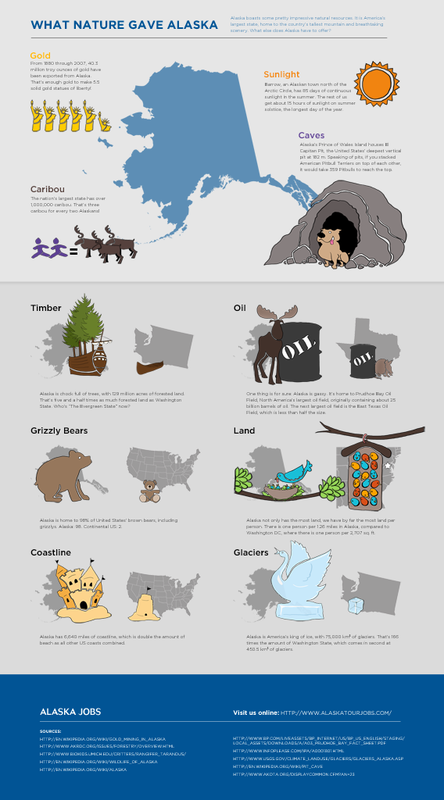 We celebrated Alaska's natural bounty with a quirky infographic. Learn some pretty impressive facts about Alaska in a memorable way. Impress Alaskan natives, win trivia night, or share this infographic with your favorite teacher for a fun learning experience.